Located in the heart of Northeast Columbia near retail, office parks, schools and high end residential real estate. 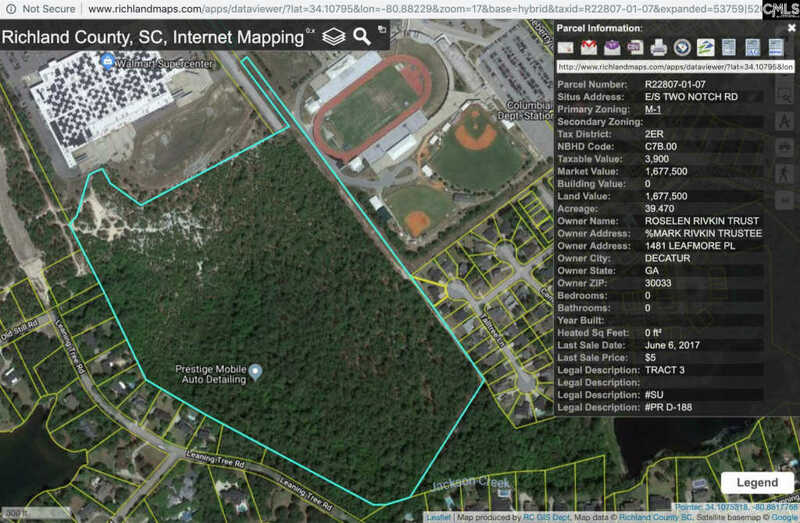 Adjoins WalMart, Spring Valley High School and the high end Wildwood Residential Subdivision. The property would be perfect for office park, single or multi-family residential, retail or light industrial development.